Curt Cheeseman kindly send me this information that I would like to share here. I also updated my article about the TL-122 flashlights with it. Curt bought some items that belonged to a doctor in the 101st Airborne. 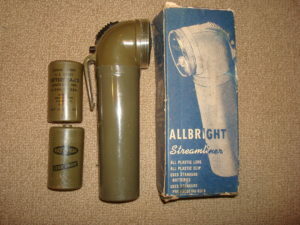 Included in the trunk of items was a chestlite and an Allbright flashlight. Since the flashlight was OD, Curt made an assumption without proof that it was a military flashlight (private purchase) and left it at that. It was an early one with only Made in USA and patent pending on the bottom. Later, trying to upgrade the flashlight he came across one still in the box, but it was made a little later as it had a patent number and pending others. 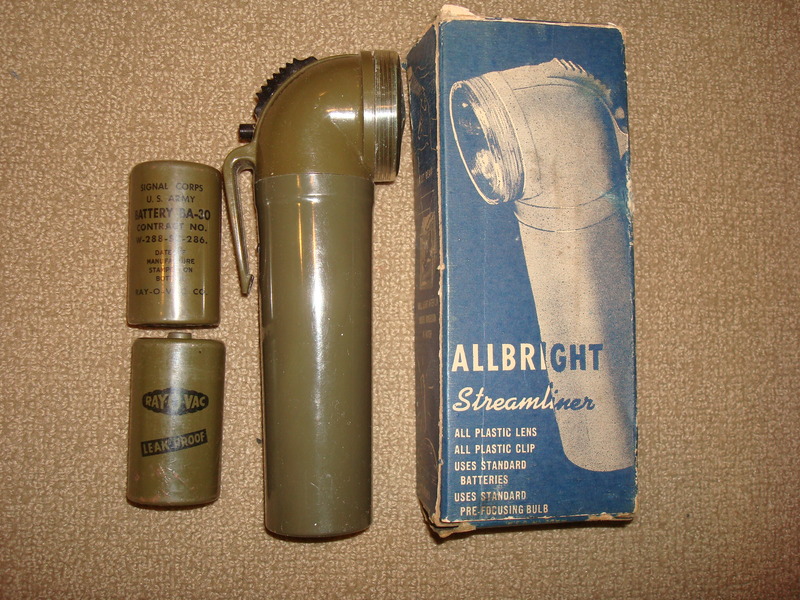 On the right, you see a picture of this flashlight with some Apr 1944 dated BA-30 batteries (wow!) 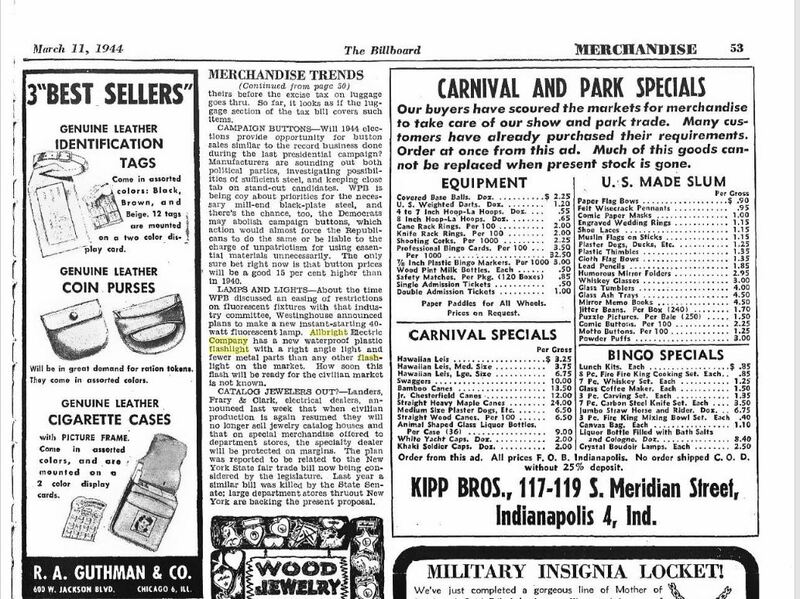 and also a clipping from a March 1944 magazine describing the light. That is the extent of his research and he is fairly confident that it was used during WWII. I would think so too. The box is really neat. Original boxes always are, but this one especially so because on the sides it shows the flashlight submersed in water for 24 hours, clip for hands free use, and a switch for signaling etc., all features that would useful in a military situation. 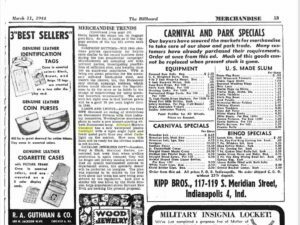 The article also leads one to believe that it is currently (1944) in use by the military and will be available to civilians shortly or after the war.